If you need a guitar or bass amp, check out Dorsey Music! 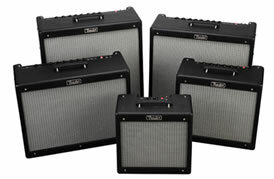 Dorsey Music stocks a wide selection of amps in all sizes, from small practice amps to jaw-dropping stacks. Instrument Quality: One thing that can't be overlooked is the importance of the instrument's quality. An amplifier merely makes the sound louder (whether it's a good tone or uh… not-so-good one). This is true of electric instruments as well as acoustics. So before you plug in, put your ear on the body of an electric instrument & play. Listen to the tone it produces. Now you'll have a good idea of the potential of the amplified sound. If you're on a tight budget, you might want to invest a little more money into your guitar and upgrade the amp later. What tone do I want? How loud do I want to be? How many watts of power will it require? What speaker size will give me the sound I want? 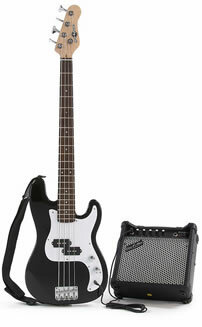 Do I want an amp with or without internal effects? If you are an acoustic guitarist, you'll want to hear the warm, rich tones of the acoustic guitar amps made by Trace Acoustics, Roland and Peavey. Some acoustic guitar amps also have a microphone input - with separate controls - for smaller performances in venues like coffee shops, restaurants, etc. No shortage here. You just need to decide how much power and what size of speakers you need. The preamp on keyboard amplifiers are made to better amplify the unique sound waves produced by keyboards, which vastly differs from those from an electric guitar. Consider these things: How much wattage do I need? What speaker size will best handle my demands? How many inputs do I need? Guitar Effects go hand-in-hand with amplifiers. We stock all of the most sought after effects pedals from Digidesign, Boss and Peavey. Common accessories include amp stands (gets your amp up where you can hear it better & the controls are more easily accessible), instrument cables, sound-hole pickups…And you can always check the guitar accessories listed under the guitar heading for additional ideas. Mesa Boogie, Peavey, Fender, Line6, Roland, Ibanez, DigiTech, Boss, etc.